Brewmaster talent choices vary based on desired complexity and filling various niches. Pick the talents that fit your preferred playstyle and compensate for your weaknesses. >Chi Burst provides the expected self healing, plus a little bit of reliable raid healing. What gives it an advantage over its competition is it’s ranged AoE utility and burst healing. However, it is a skill shot and requires facing your character toward the intended targets, and it has the longest cooldown of the three healing talents. Eye of the Tiger provides a small but constant stream of healing, assuming you’re regularly using Tiger Palm (which is very likely). It’s not a live-saving amount of healing by any means, but the benefit of this talent comes from its nearly-passive nature. If you want to simplify your healing, this is the talent to pick. Chi Wave is a random(ish) healing spell with a moderate cooldown. It provides a small amount of burst healing and damage to alternating, random targets and can serve as a filler in your rotation, though a low priority one. The only self-healing you can rely on is the initial burst if you target the spell on yourself first. Chi Torpedo allows you to Roll further and run faster, especially useful if you’re traveling large distances frequently, like in world content. Tiger’s Lust is a sprint, and generally useful in all situations, as long as you remember to activate it. You can also use it on teammates, which gives it an extra dimension of utility. Celerity allows you to Roll more frequently. It’s especially useful for situations where you have to quickly run out of ground effects. Light Brewing decreases the shared cooldown on your Ironskin and Purifying Brews and increases the total charges to 4. This gives you very granular control over your active mitigation, allowing you to save up for a big burst, and further enhancing your ability to pool your abilities for when you really need them (a particular brewmaster strength). With this talent in a situation like a raid, where you aren’t always tanking, you can very reasonably keep Ironskin Brew active whenever you need it, with plenty of brews left over for Purify. Black Ox Brew is a talent that gives you a burst of resources (3 brew charges and 100 energy) should you need them. To get the most brews out of this ability, you need to work out a pattern of spending all your brews and refreshing with Black Ox Brew on cooldown. You can also use it reactively, such as emergency situations like running out of brews but needing an Ironskin Brew ASAP. Optimizing it requires some planning, as it’s less effective if you aren’t totally out of brews and low on energy. Gift of the Mists adds some extra gameplay to your primary heal, Gift of the Ox. With this talent, you’ll not only get more healing orbs when you likely need them, but you’ll add some complexity to how you handle your health. If you’re at low health but not in immediate danger, you can leave some orbs at hand and wait for more to proc, to save when you really are in danger. Ring of Peace is a good tool for kiting or any niche situations where you might need to precisely position mobs. Take Ring of Peace if your dungeon team is already heavy on stuns, to knock enemies out of things like Sanguine, or potentially a kiting tool for Raging, Necrotic, or Bolstering. Summon Black Ox Statue excels at helping you pick up streaming adds, or adds that appear out of your view or range. It helps protect any healers from accidental aggro because it will almost always generate more threat than healing spells. If you target the statue and use Provoke, then that taunts all the enemies around it onto you, which is a vital strategy for properly using this talent. Leg Sweep is one of the strongest AoE stuns in the game. It’s instant, has a relatively short cooldown and long duration, and as a tank you’re uniquely capable of timing it to best benefit your survival (something that’s very useful in mythic dungeons). Healing Elixir is a strong heal that can either be used actively, like to top off your health when you don’t have ox orbs, or passively, where it will automatically heal you when you drop below 35% health. A generic, viable option when you need more self-healing or simplicity. Mystic Vitality fills a niche talent that’s really strong for magic damage, which we encounter mostly in raids. The fact that it’s passive allows it to synergize with our active mitigation, instead of supplanting it. Take this talent when you’re facing lots of magic damage. Dampen Harm fills the role of reducing big, predictable damage of any type. Take this talent for especially heavy-hitting bosses, or for situations where you might need an extra defensive ability on a shorter cooldown than Fortifying Brew. Rushing Jade Wind primarily acts as an AoE threat and dps tool, but it can also be fit into a single target rotation to fill empty GCDs at a low priority. If you like pushing rotational buttons often, this is a good choice. 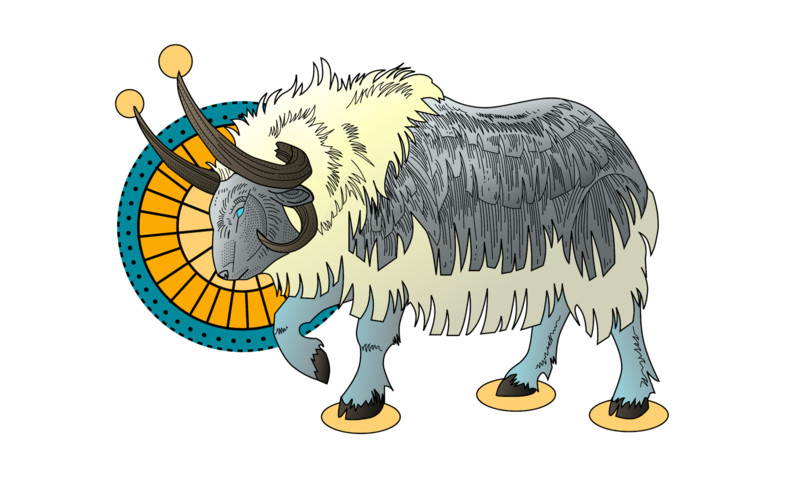 Invoke Niuzao, the Black Ox summons the ox celestial to your defense. He comes with a pet bar with a number of abilities, most importantly a taunt. With the taunt he can be used as a minor defensive cooldown, though be aware that while he has a decent amount of health and armor, he’s no good at surviving special attacks. This ability can also be used as a personal damage cooldown, and he does especially well in cleave situations. Special Delivery is a passive damage increase, working especially well in AoE. However, it requires use of your brews, so it’s not particularly effective unless you’re activating Purifying and Ironskin Brew regularly. Elusive Dance excels at damage reduction, and especially fits those who use Purifying Brew frequently. Blackout Combo adds a significant amount of complexity to your entire rotation. With this talent, use Blackout Strike as much as possible, ideally alternating between that and one of the five abilities this talent alters. For maximum defense, favor using Blackout Strike before Keg Smash, Purifying Brew, and Ironskin Brew. For maximum offense, favor using Tiger Palm and Breath of Fire. High Tolerance excels at damage smoothing, and especially fits those who use Ironskin Brew frequently. This talent discourages Purifying Brew to a certain extent because purifying a high stagger will reduce your haste, so it adds another factor of judging your current state of life and whether you can afford to trade some increase damage intake via stagger for to faster brews later.